Resinous flooring is a specialized and versatile seamless, or monolithic, surface coating system that meets the needs of many industries: manufacturing, pharmaceutical, food & beverage, technology, health care, public spaces, commercial and more. It is possible to install resinous flooring over existing or new surfaces. OTN’s years of experience in both commercial and industrial settings, assures our clients that we know how and will take the time needed to prepare surfaces for Resinous Flooring. The time invested in efficient and exacting surface prep is the key to quality, lasting, finished projects. The application process of resinous flooring makes them ideally suitable for decorative purposes. Resinous floors are available in a large spectrum of colors and textures. Finishes may be matte, satin or high gloss. Patterns, designs and logos can easily be integrated within the floor. MMA, Methyl Methacrylate floor coatings, are pigmented floor systems available in a broad array of colors. They are VOC compliant, have superior UV stability for indoor and outdoor applications and cure quickly, within a wide temperature range. Quartz aggregate and vinyl decorative flake can be broadcast into the floor during application to introduce color variations and / or slip resistance to the floor surface. Integral Cove Bases that extend the flooring surface onto walls is another advantage of Resinous Floors. Integrating the cove base with the floor surface greatly reduces the potential for cracks and surface failure along wall bases. Applied in clean rooms, resinous flooring provides antistatic and dust free surfaces crucial in technological environments. Resinous Floors can provide antimicrobial surfaces for the healthcare industry and in locker rooms, shower rooms and restrooms. When it is necessary to incorporate slope within a floor for drains or other manufacturing needs, resinous flooring is ideally suited to modifying surface level and slope. The Resinous Floors Division of OTN serves a broad spectrum of clients and industries. If you’d like to know more about the diverse applications for seamless resinous flooring, contact us. 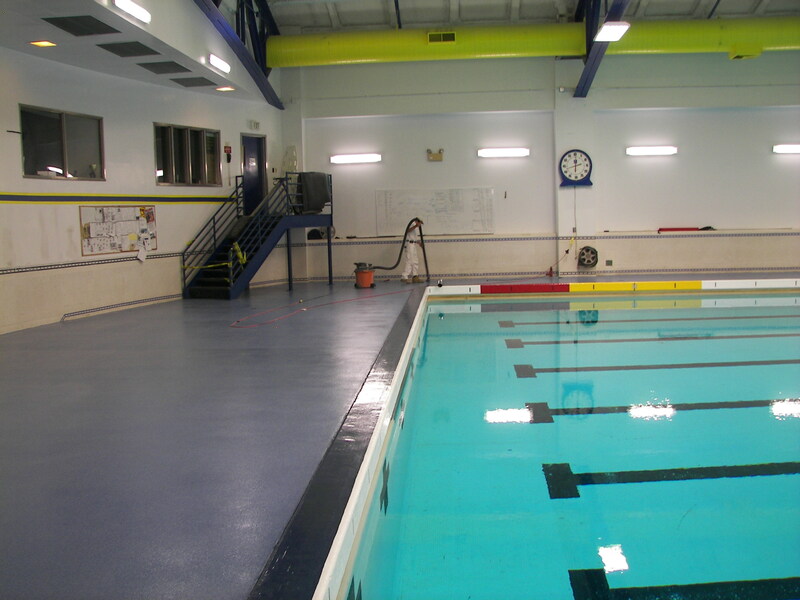 We can show you how Resinous Flooring can improve your facility, increase its life cycle and enhance your environment. Providing the Mid-East Region Industrial & Commercial Painting, Construction Services, Resinous Flooring and the services of our state-of-the-art Blast & Paint Facility.